My mom worked in Liberia from July 2015 to March 2017. Wherever she is, she always looks for a “Let’s BEAR” product made of locally available resources by hand. 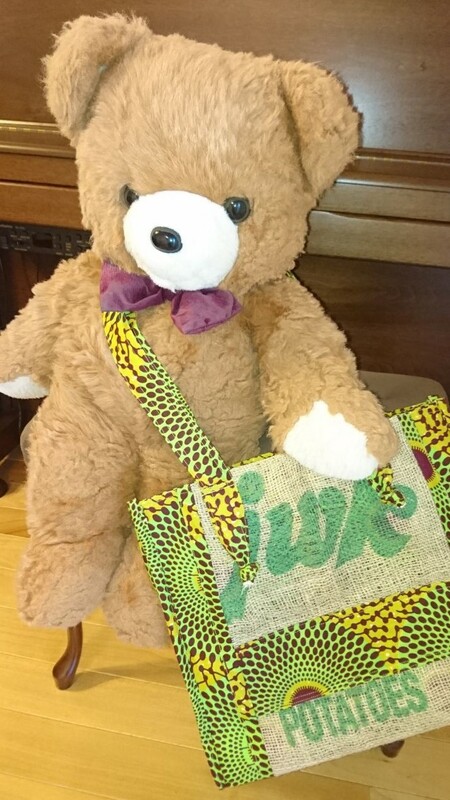 During her stay in Liberia, she found the “Let’s BEAR” bag in the photo. What do you think it is made of? Have a close look at the brown mesh? 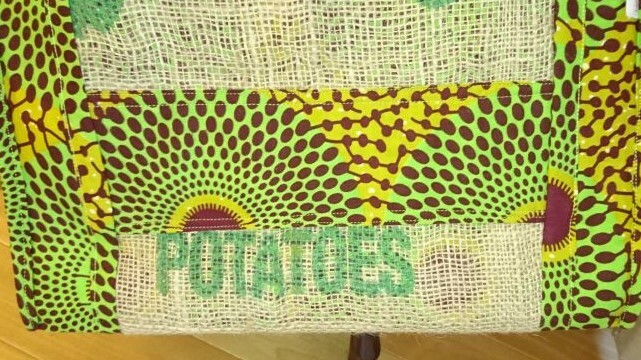 The bag is a patchwork of yellow-green cloth in a traditional Liberian motif, and parts of potato sacks. 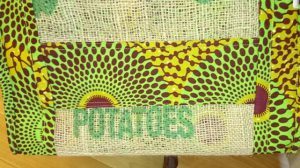 Liberian women “UP-cycled” potato sacks into a “beary” stylish bag. Fantastic! 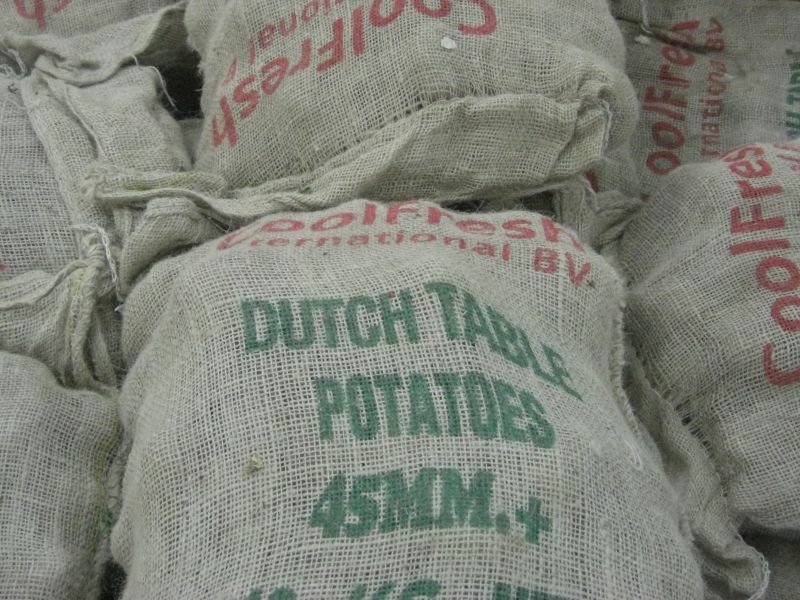 I like the word, “potatoes,” on the bag, which proves that it used to be a potato sack. Thus, anything can be a valuable resource depending on how you look at it. Be Empowered with Available Resources! Let’s BEAR! The name of the Liberian women’s group is BOSH BOSH. More details and products are on their website below.